J8 has researched and created over 30 systematic trading strategies. 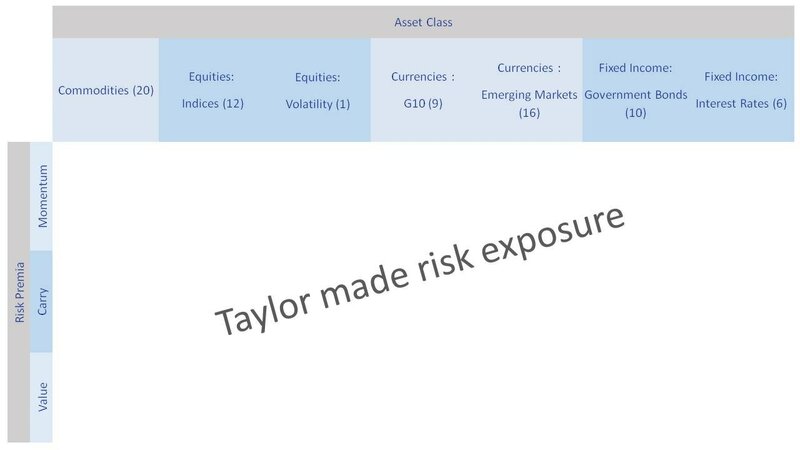 Each strategy represents one clean risk premium per asset class. They are derived from economic principles and empirical observations and trade highly liquid global markets only. The strategies offer efficient portfolio construction. Investors can customize their desired risk exposure.